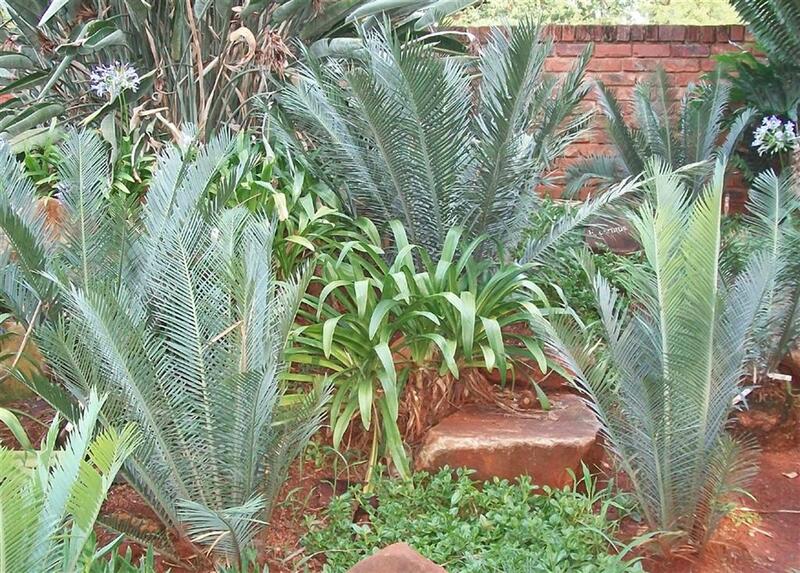 Encephalartos cerinus , also called the Waxen Cycad, it is among the rarest of the South African cycads. The waxy coating on its leaves and cones distinguishes it from all other species of Encephalartos. It’s blue-green color is unique among South African cycads. Click here to see an enlarged photo. Encephalartos cerinus was described in 1989. Only two small colonies of this species were ever found. Unfortunately, these colonies no longer exist, and nowEncephalartos cerinus is only found in botanical gardens, private gardens, and nurseries. The Encephalartos cerinus we grow are from seed we imported years ago, propagated from second-generation nursery plants.